This recipe takes the lemon cupcakes to the next level. 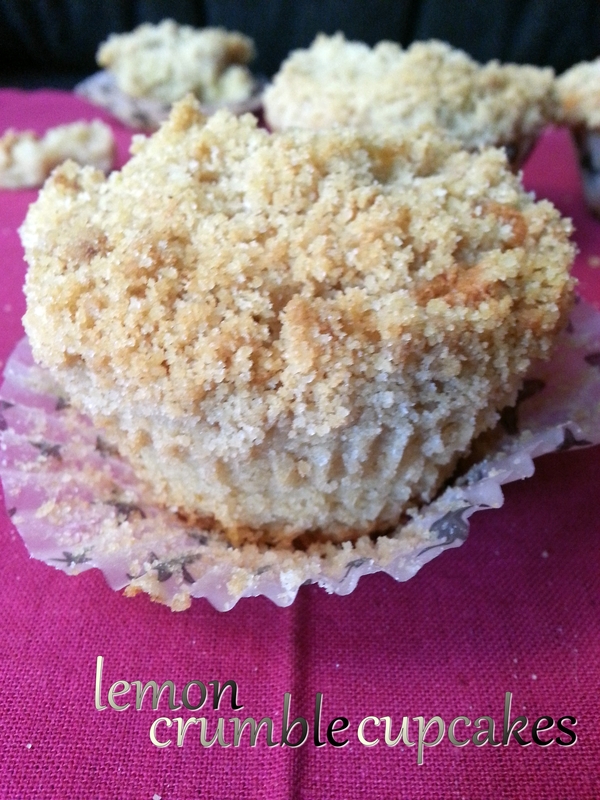 They are the best lemon cupcakes I have ever had, not that there are no better recipes but for me these are perfect and I hope they become your personal favourite too. The lemon curd in the centre adds a wonderful sweet – sharp citrus softness and the crumble topping adds a great contrasting crunch. The cupcakes are incredibly soft and moist they are like little pillows of happiness, at least I feel so deeply satisfied and happy when I dig my teeth in one of these. I hope you also enjoy them as much as I do. Preheat the oven to a 180 degree centigrade, and line the muffin tray with paper cases. First make the crumble topping, sift the flour into a bowl then add the sugar and lemon zest and mix together to combine. Toss the butter in the mixture and use your fingertips to rub the butter into the flour until it resembles coarse bread crumbs, keep in the fridge until needed. Cream the butter in a large bowl until soft with an electric mixer, now add the sugar and beat until light and fluffy. In a small bowl whisk the eggs together for a few seconds and gradually add them to the creamed butter mixture, beating all the time. Sift in the flour and add the lemon juice then fold in gently to incorporate. Divide half the batter between the muffin cases, filling each about one-third full. Add roughly 1/2 tablespoon of lemon curd to each paper case so that it forms a small dollop in the centre. Then divide the remaining half of the batter between the cases spooning it over the lemon curd, finally divide the lemon crumble mixture between the cupcakes. Bake for about 30 minutes or until nice and golden on the top and lightly springy to touch in the middle. Do not get worked up if some of the curd bubbles over the top of the cupcakes while its baking in the oven. Let the cupcakes cool for 10 minutes before placing them on the wire rack to cool down completely. To make the Lemon curd- in a saucepan over very low heat melt your butter with the sugar, lemon zest and juice.Place the eggs and egg yolk in a bowl and beat them together well, then pour into the pan. Keep stirring the mixture carefully over low heat until the mixture has thickened enough to coat the back of a spoon. Dont let the mixture get too hot or the eggs will scramble, now remove from heat and pour into a glass bowl or sterilised jar. The lemon curd will thicken further as it cools. This sounds delicious, I love lemon flavoured desserts! 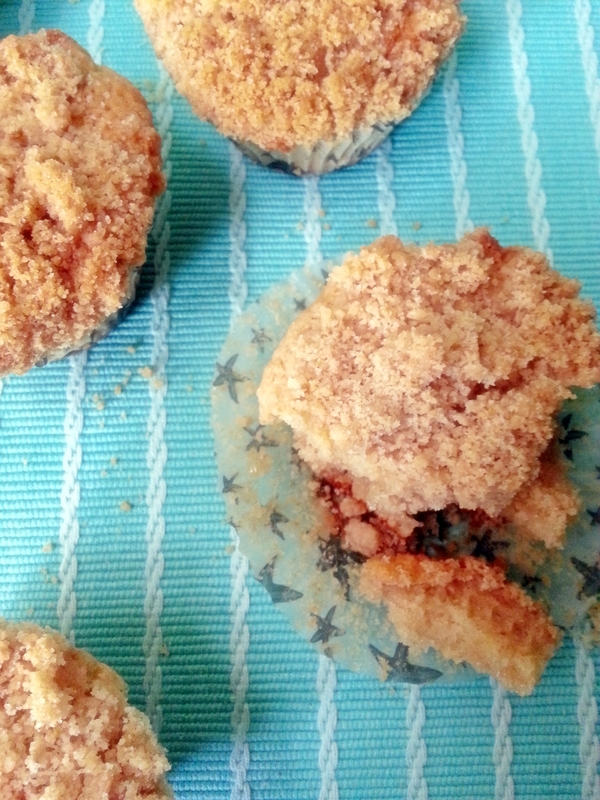 These muffins look so good, especially with the crumble topping! Thanks 🙂 they are perfect. 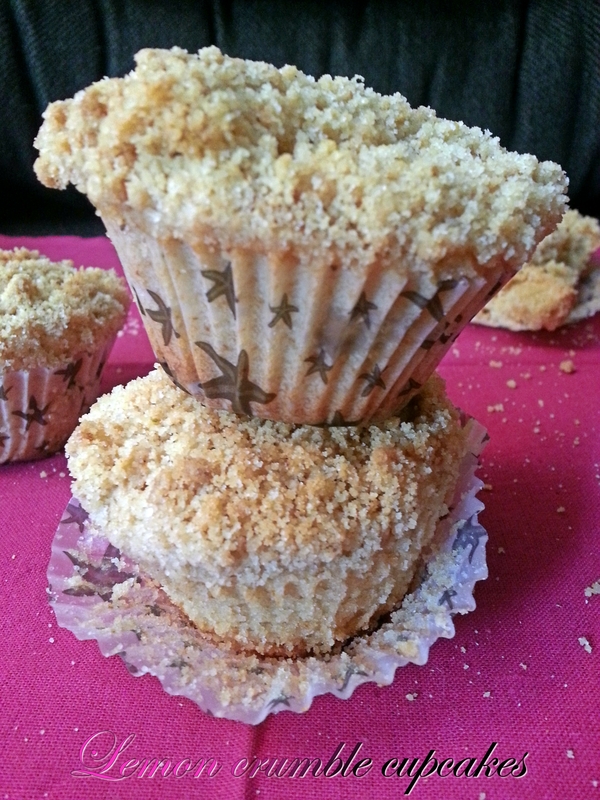 I love cup cakes with a crumble top. This looks very delicious. Thanks for sharing!